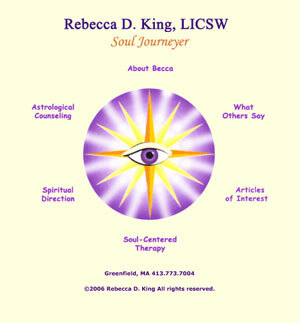 Diane Clancy worked closely with Becca to create this site to showcase her astrology work and her spiritual vision. Diane also helped Becca make her presentation professional. Becca has now retired. Diane Clancy's specialty is clarifying and implementing your own ideas for your web site. Diane Clancy would be delighted to talk with you at 413.773.7333.